When it comes to big ol’ fame-tastic franchises, Final Fantasy will inevitably be mentioned. For many, this enduring and seminal series (because I’m an alliterate twice in two sentences sort of guy) is the very last word in… RPGing goodness. This time, we’re taking a look at the best game in the series: Final Fantasy IX. Before rage-spittle starts flying all over your monitor, that’s ‘best’ in the most objective sense it’s really possible: the highest compiled score on gamerankings and metacritics and suchlike. So just what is it about the ninth game? Let’s have a quick muse. 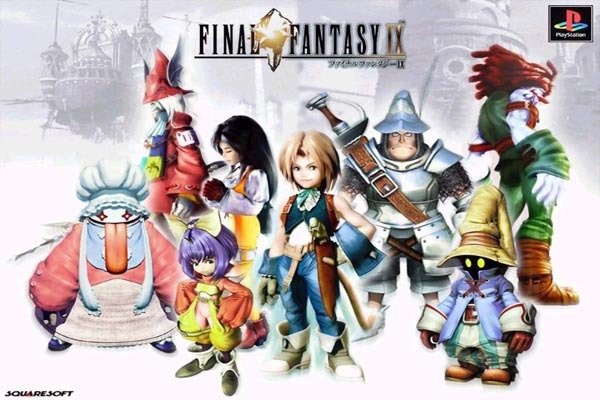 Final Fantasy IX was released in 2000, the last in the series to hit the PlayStation. At this point, the series had been gathering momentum worldwide thanks to the almighty Final Fantasy VII. This installment, a few years before, popularized the genre and was many gamers’ first real taste of it. But for the long-time Fantasists, it was something new. Games VII and VIII eschewed the familiar job system, in favour of more customisable characters. This had been a hallmark of the games since the first release in 1987, and was a sad loss. 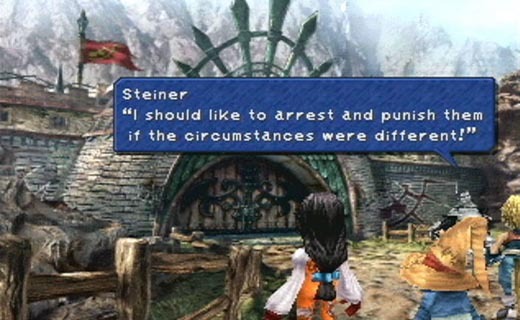 It was also one thing that Final Fantasy IX tried to address. First and foremost, the game is a love letter to the franchise’s roots. Everything from the colour scheme of the dialogue boxes to clever little puns about Clouds and Squalls screams throwback. But there’s more to it than that. Without parading over ground which has been endlessly trodden, it’s a poignant and gripping story told well, and presented in brilliant style. The game’s art has a kind of storybook aesthetic, which I’d say makes it the most ‘charming’ of the Final Fantasies. I had seen nothing quite like it, and it still looks wonderful today. The familiar gameplay itself was also buffed to a fine, shiny sheen of… shiny sheen-ery here, and the sidequests are enjoyable and actually rewarding. Then there’s the glorious soundtrack. There can be no doubt that this is a very special package.